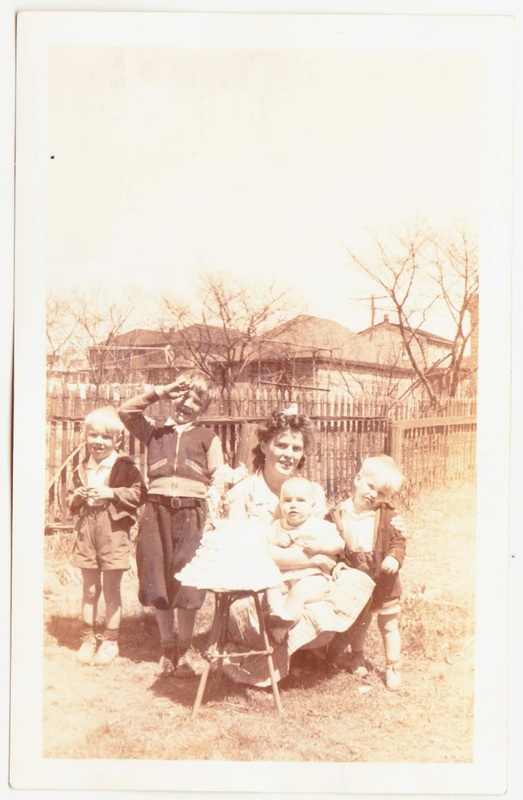 There is no information on the back of this slightly sepia snapshot, which measures 2¾ inches across. The time of year would be very early spring or late autumn, don't you think? Era is probably the 1940s, is my hunch. These kids grew up through the space race, the suburbanization of America, the civil rights movement, shattering assassinations, the Vietnam war, the Nixon presidency, disco and then, as the 1980s dawned, the arrival of those Belgian Smurfs on American television.